313 - 1111 E 27th St. Better than new! 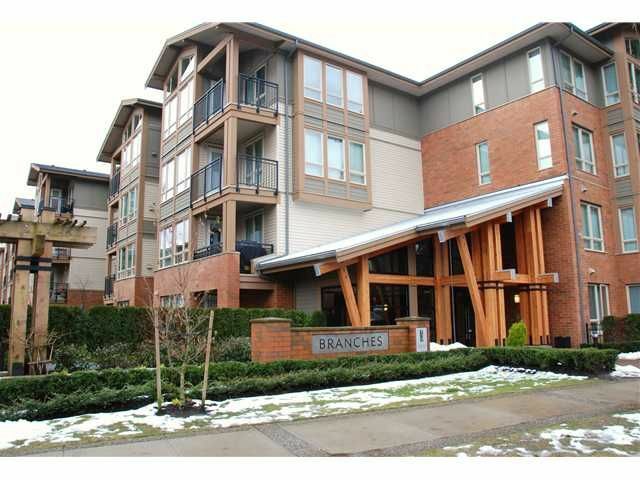 Beautifully appointed and decorated, bright, spacious 925sq ft condo with a peaceful outlook and view to the mountains in Polygon's 2yr old Branches. Features 2 bedrooms, 2 bathrooms plus flex space perfect for an office. Desirable open floor plan and stylish high-end kitchen with granite counters, S/S appliances, maple cabinets & eating bar. The master enjoys a walk-in closet and attractive 4pc enuite with double sinks and granite countertop. Good sized deck off living room. Friendly complex in fantastic location boasting great amenities at your doorstep - Lynn Valley Ctr, library, parks, Karen M. Arena, walking trails and easy access to Hwy #1. It shows to absolute perfection!